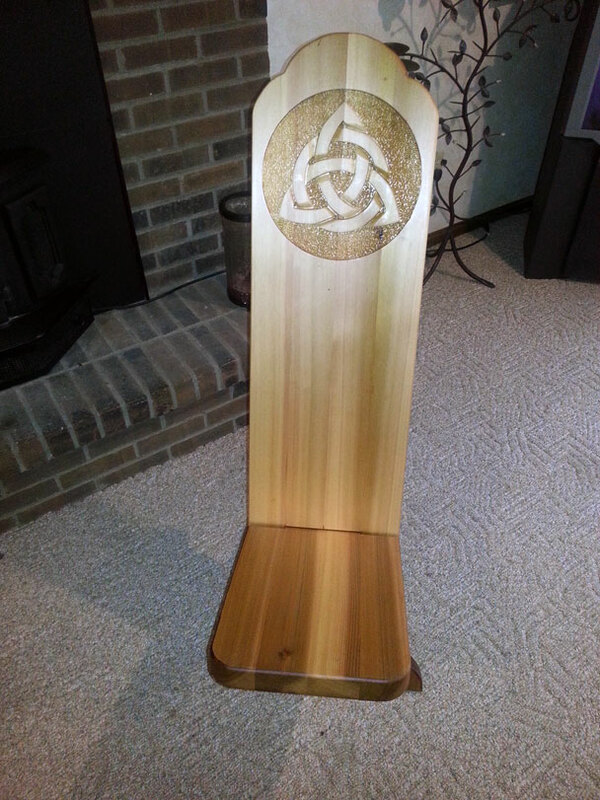 I was asked by a co-worker to build his girlfriend a Viking chair with a Celtic knot ( TRIQUETRA). I told him I never have carved in wood before but I would be willing to give it a try. 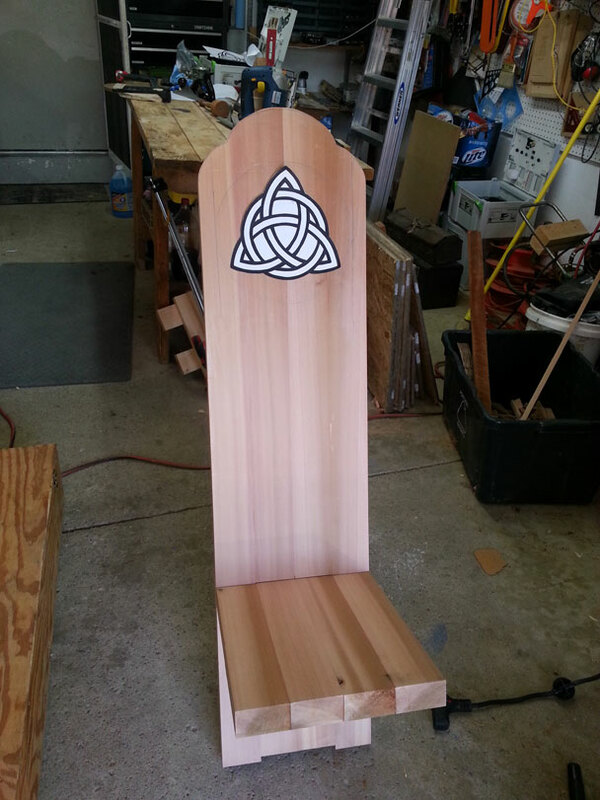 I have built one other viking chair out of cedar. I chose cedar for its durability outdoors. I started out with a 4x4x8 and 4x4x10 cedar lumber. I re-sawed the and glued them up into slabs, one for the seat and one for the back. I then used my domino jointer to assembly the seat and back, probably over kill but what the heck. I learned how to cut a circle for my router on the bandsaw. I was totally impressed by how fast I was able to cut a circle. 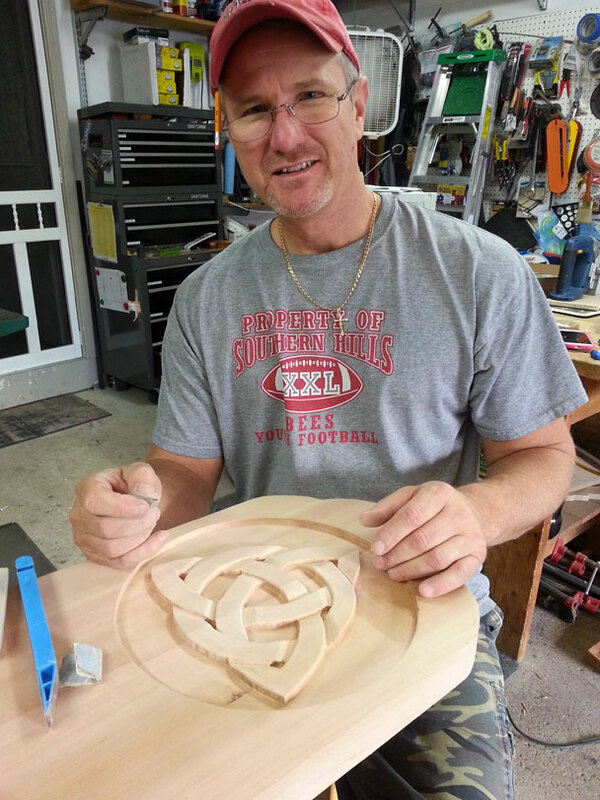 Once the circle was cut I laid the template in place and begin clearing out the background and the areas in the knot. Now that the carving is done, I grabbed my Dremel and a diamond ball mill and stippled the background to enhance the carving. A bit of sanding and rounding over the edges on the router table, and the the Lady Ellen Viking Chair is almost done. I did add a feature to this chair that I did not have on the first chair and that is a bracket to store the seat when not in use or if you need to transport it. The cedar is soft and shows some dents and dings, but that just adds to the charm. Overall I am pleased with the chair. If and when I do an other, I would approach the knot a little differently. I would pay attention more to the “over under” portions, but overall it looks carved by hand. 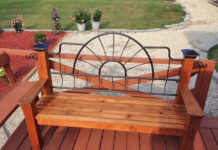 I have included a link to my woodworking page on Facebook, Dragonfly Woodworking where the build album is posted along with 4 videos, one of which I set the chair up and enjoy it. There are a lot of satisfying feelings you get from woodworking. 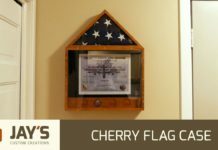 Not only was he able to make a really nice gift for a friend but he was able to learn a few new tricks along the way. Great job Patrick. 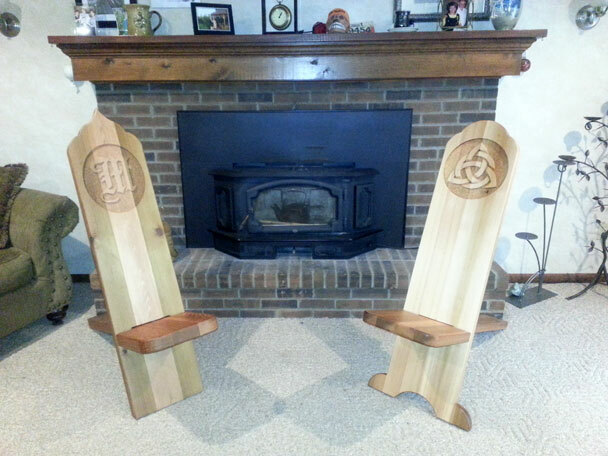 What do you all think of his viking chairs? They definately give me the urge to make one…or six! 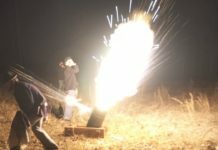 Do you have a unique project you would like to show off? Click here! They came out really great! Have to try out the circle cutting with the router one of these days. Came out looking really great! 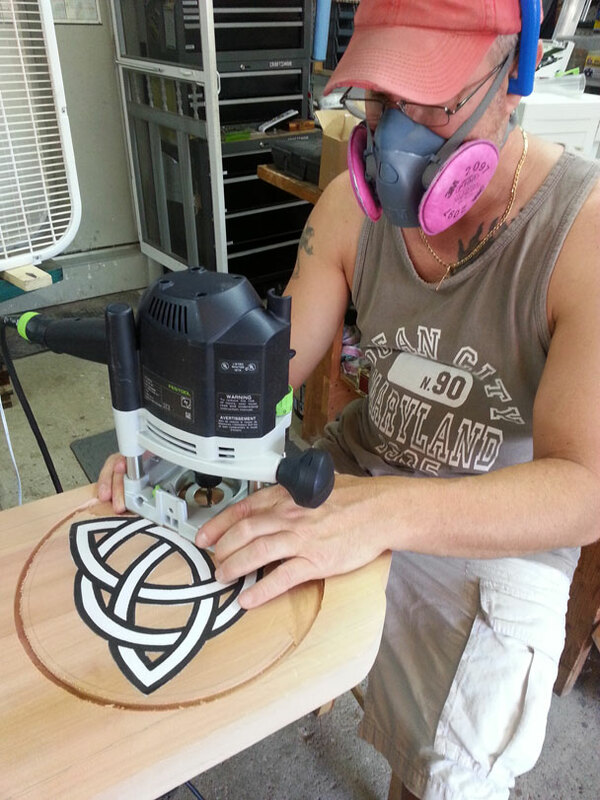 Have to try out the circle cutting with a router someday. Thanks Jay for the post. I hope the new shop is working out for you.